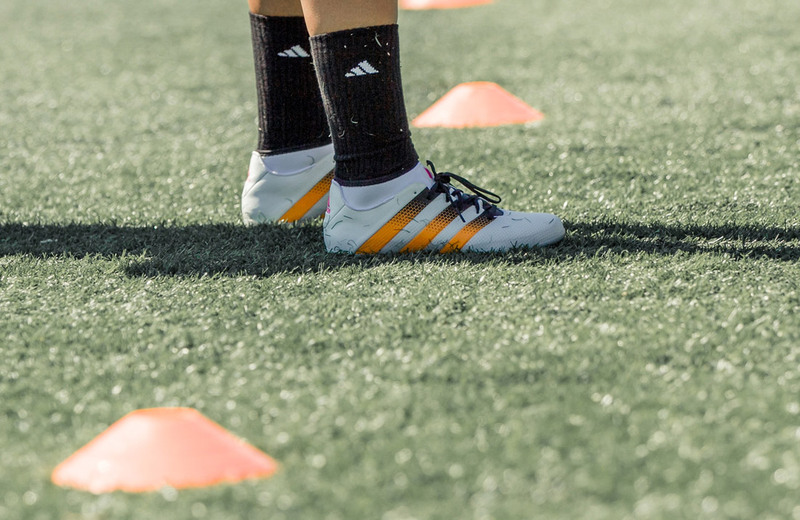 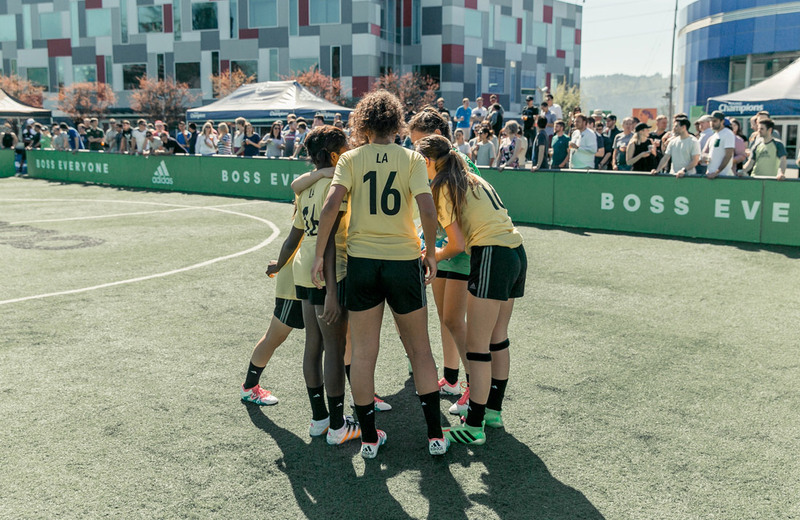 Urban Pitch had the honor of visiting the Adidas North American headquarters last week for an exclusive tour, (yeah, we’re special) of the 3 Stripes campus and a preview of some of the brand’s exciting, upcoming plans. 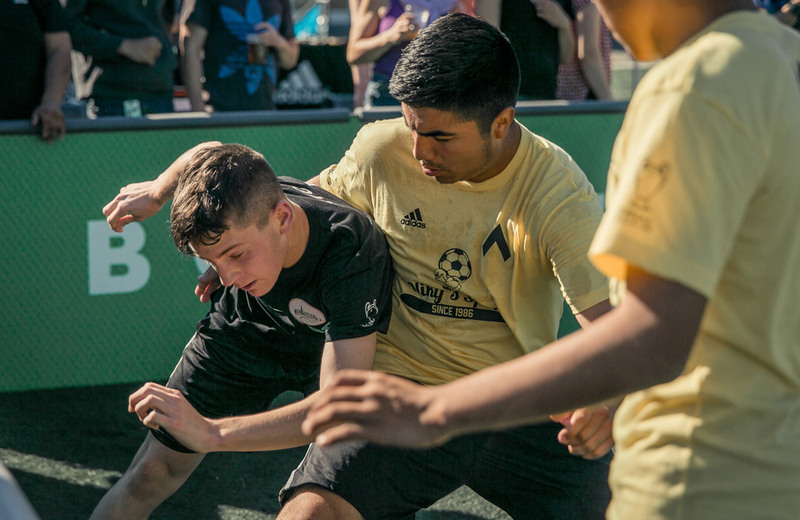 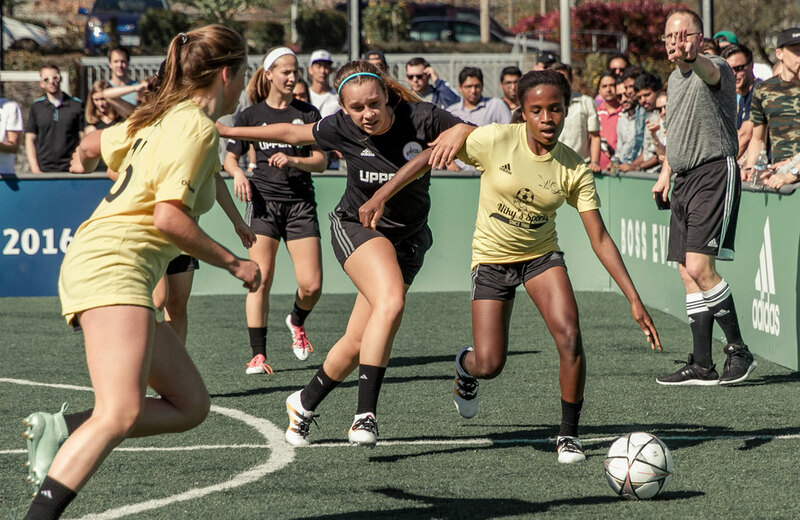 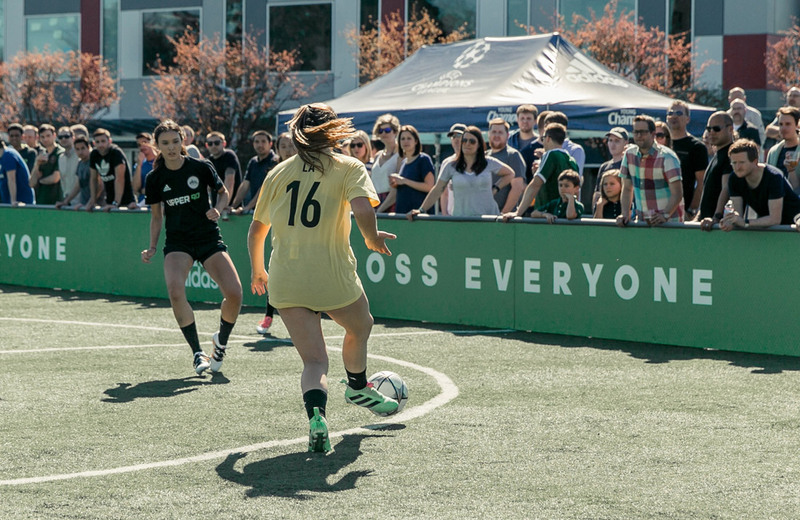 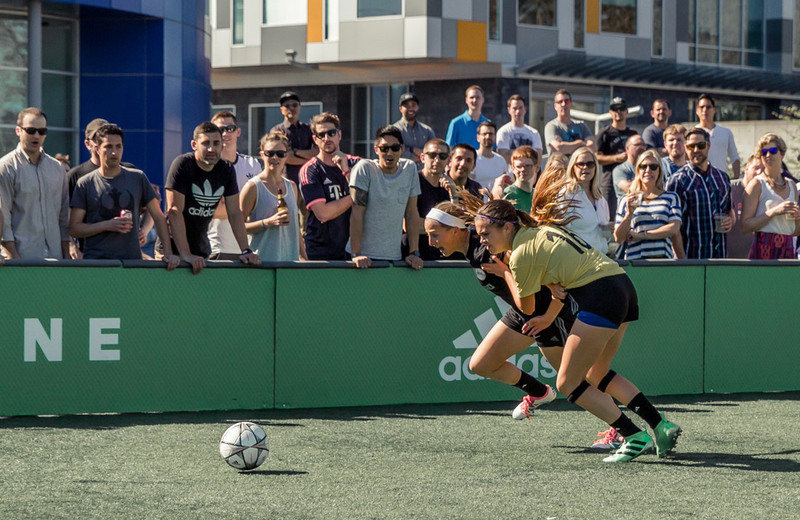 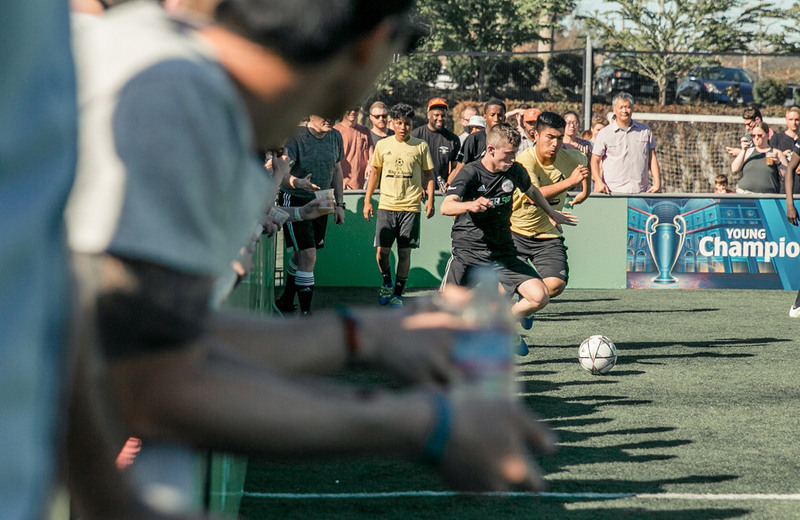 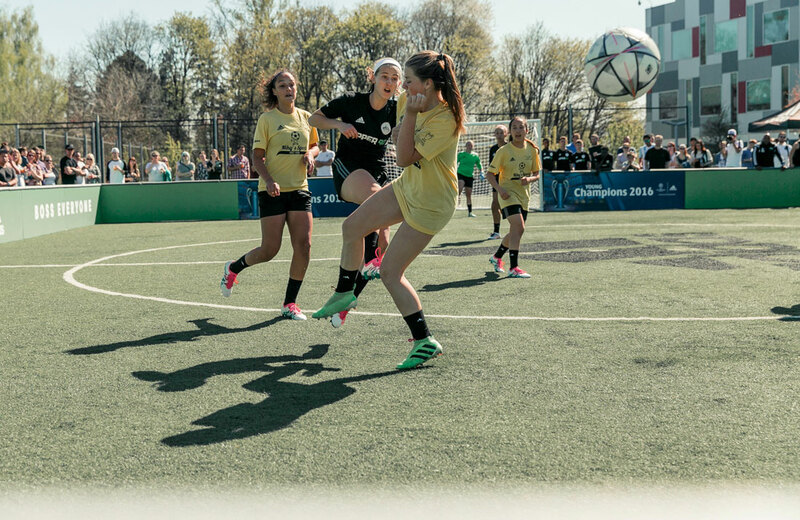 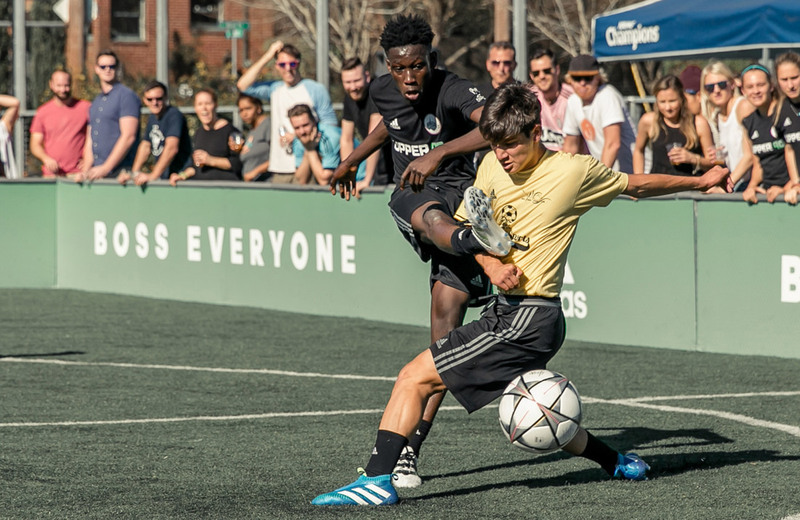 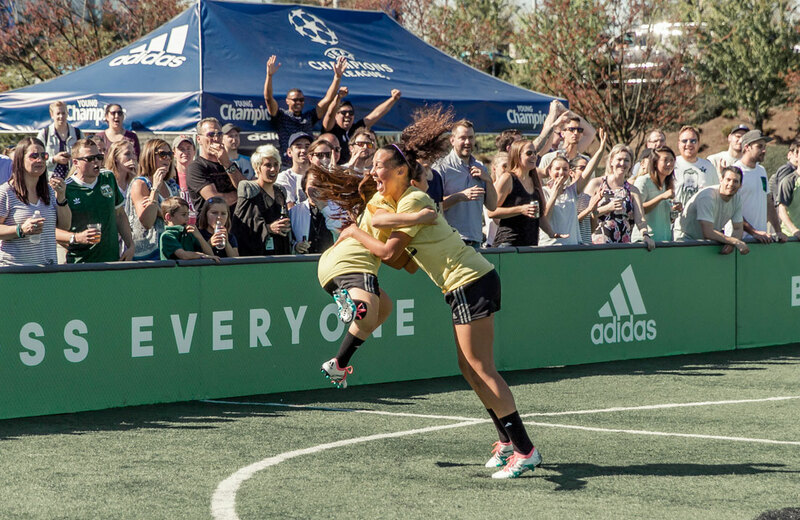 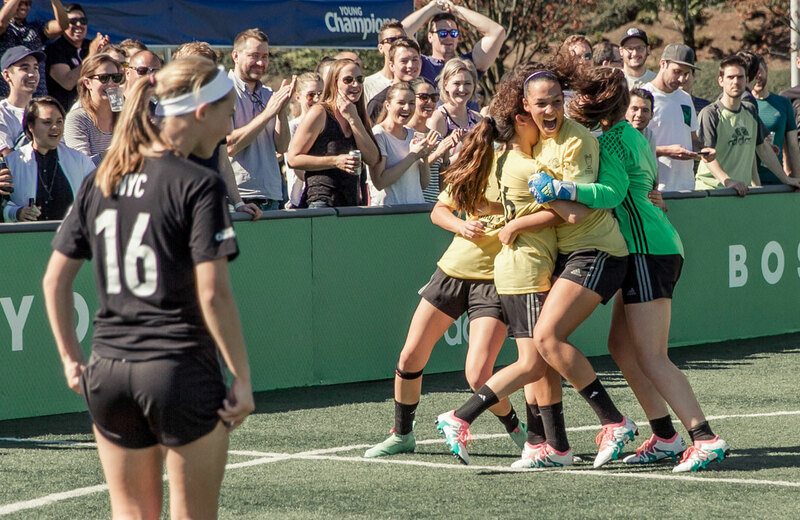 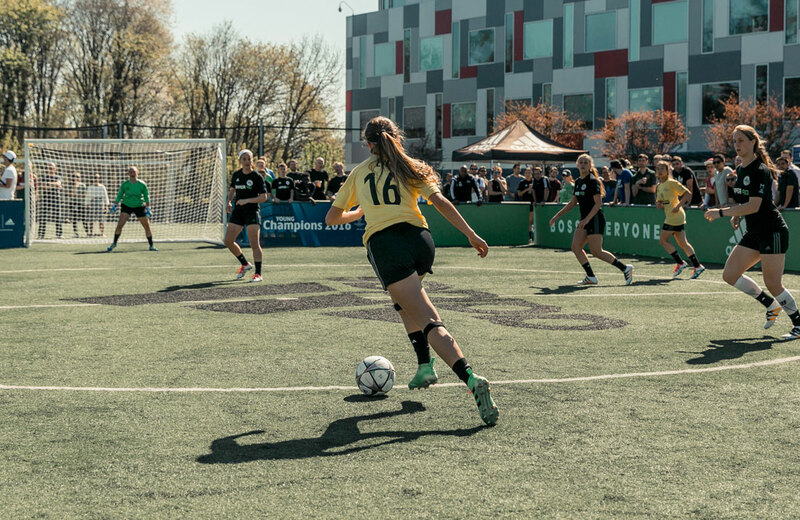 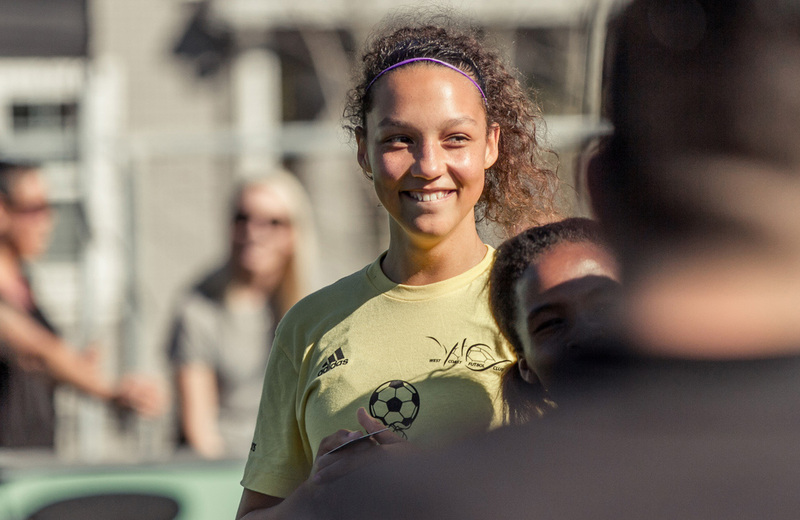 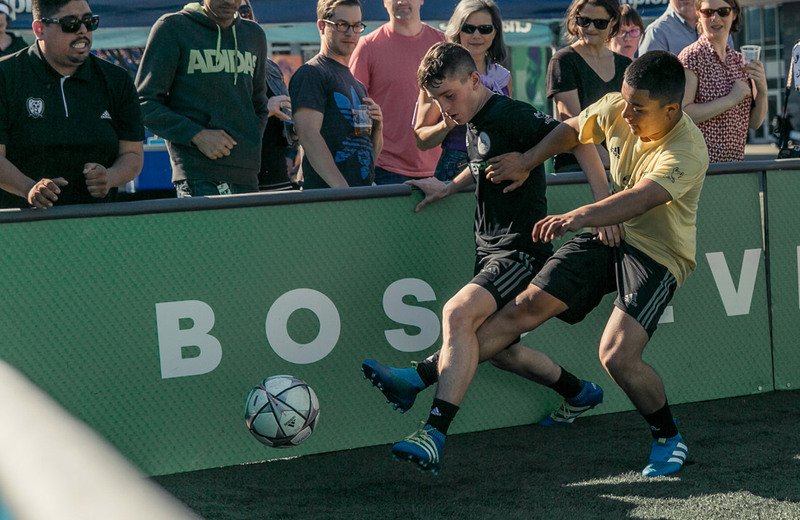 The highlight, though, was witnessing the fierce showdown at Adidas #YoungChampions 5v5 final. 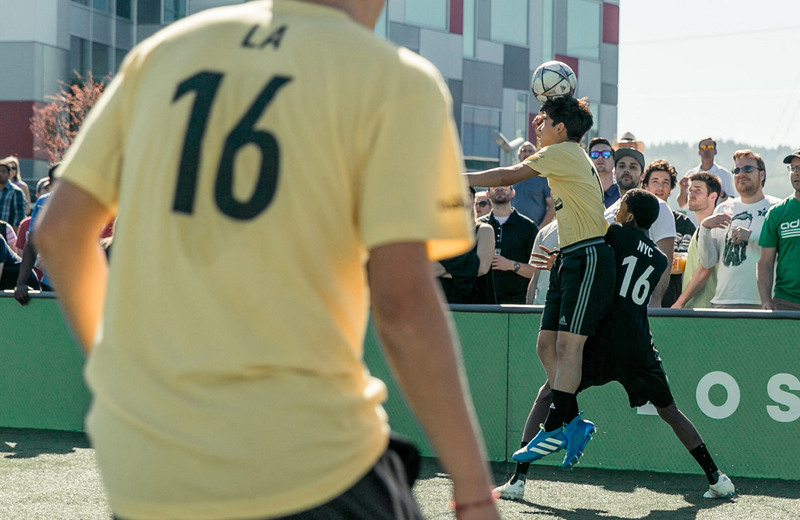 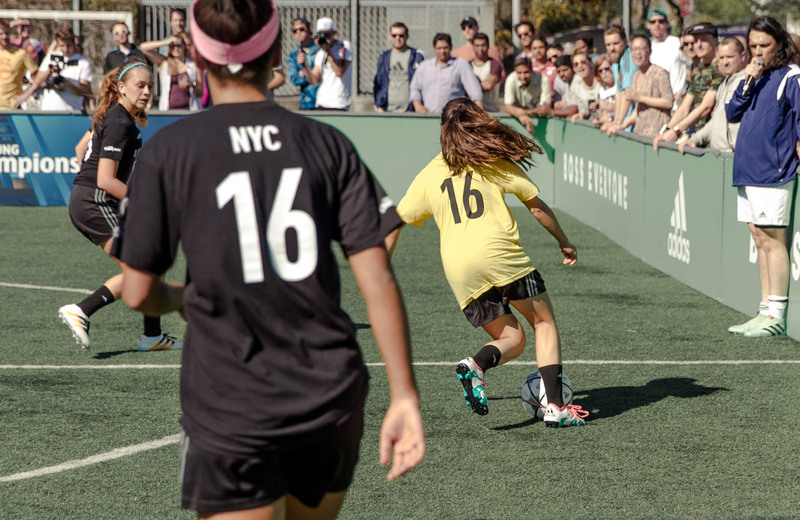 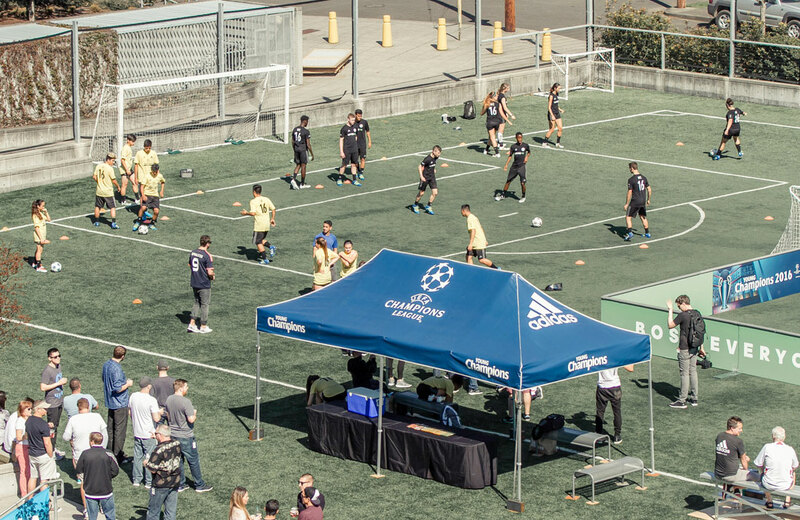 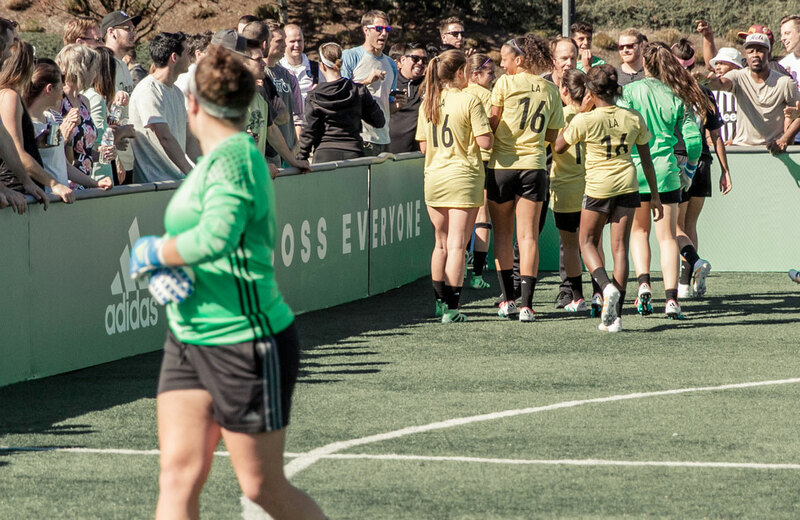 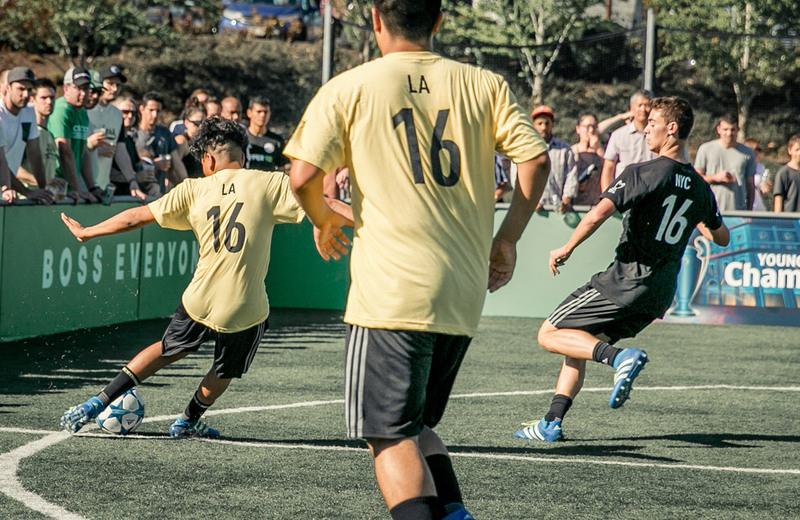 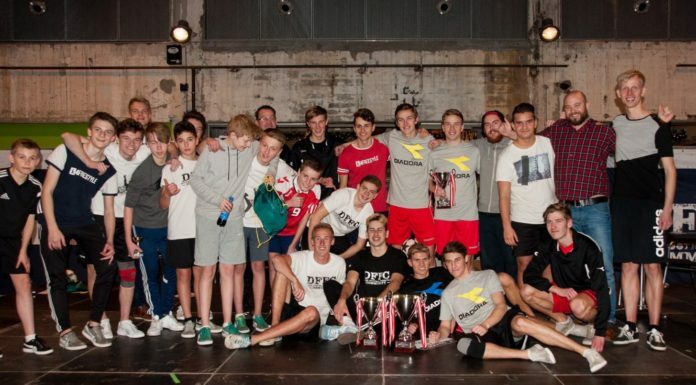 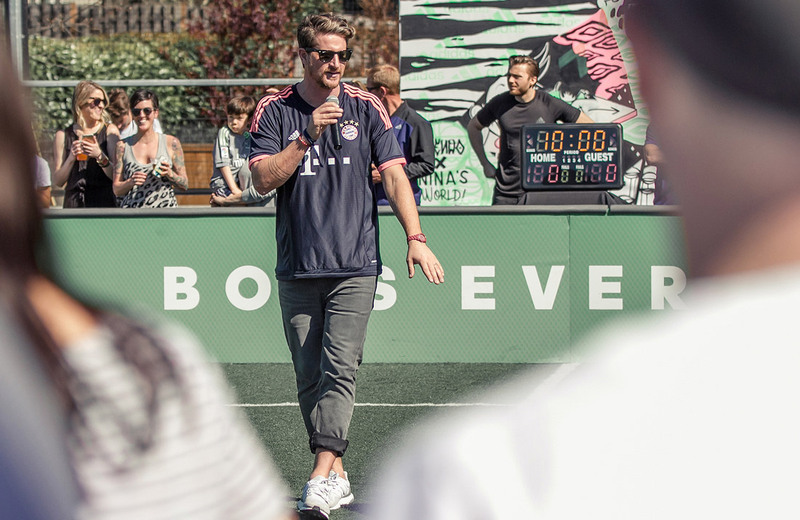 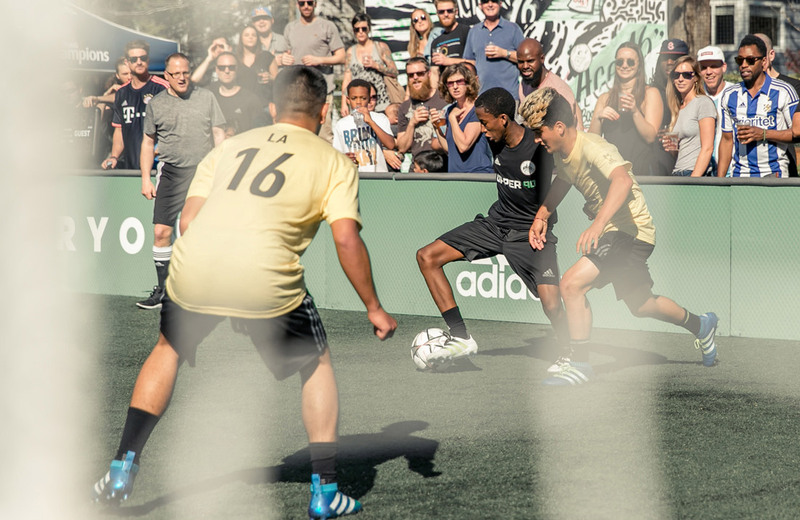 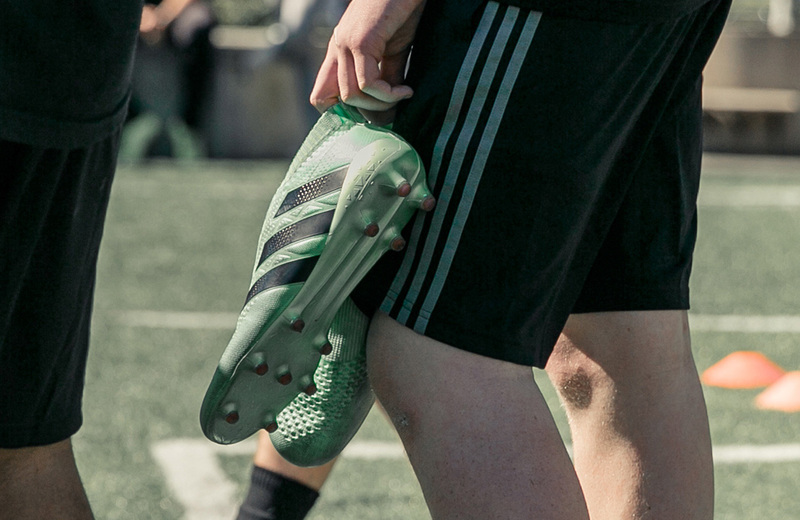 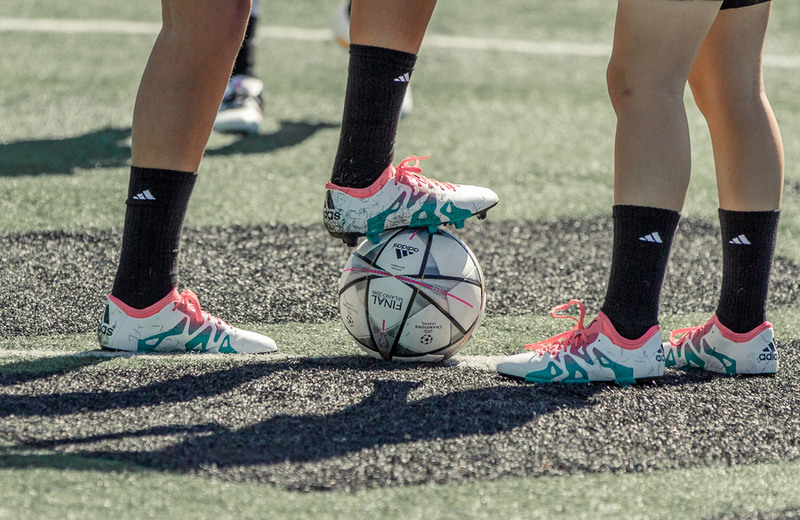 L.A. and New York City fought for the top prize at Adidas—a trip to the UEFA Champions League Final! 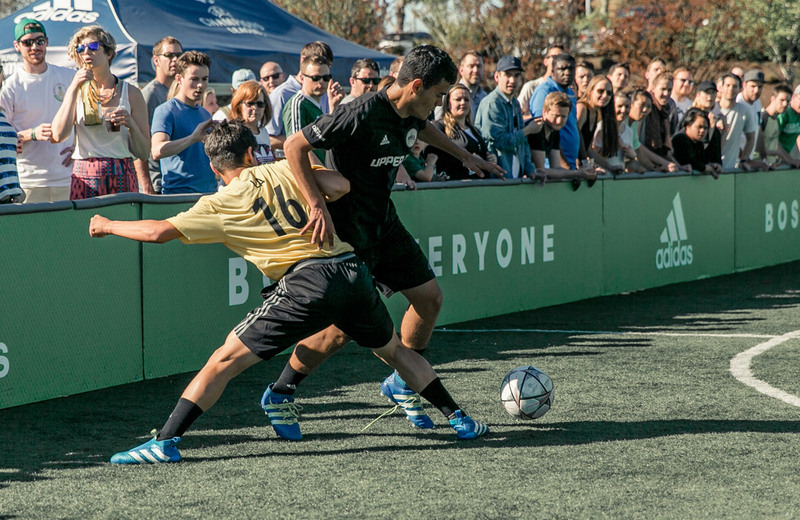 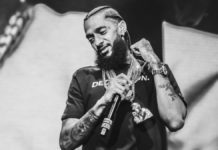 Not surprisingly, it was a true, old-school East Coast, West Coast battle for supremacy. 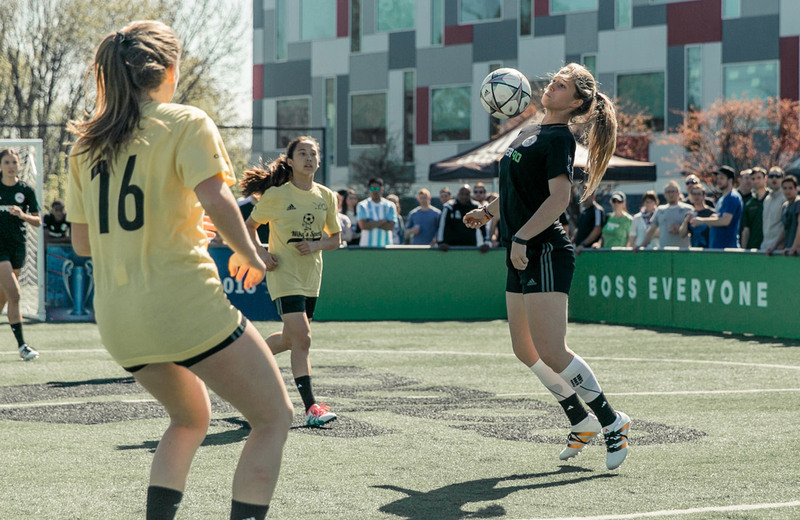 With an all-expenses-paid trip to the UEFA Champions League Final in Milan, Italy up for grabs, the competitive energy between teams was palpable. 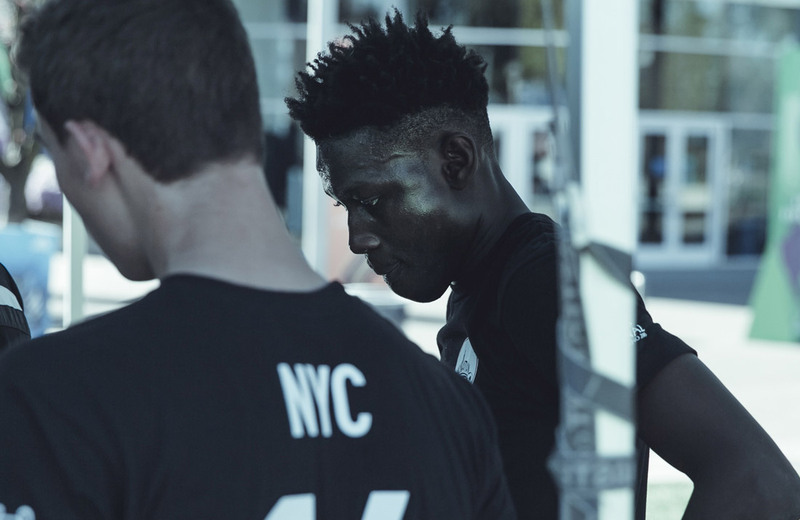 Teammates from NYC listen intently to their coach during halftime. 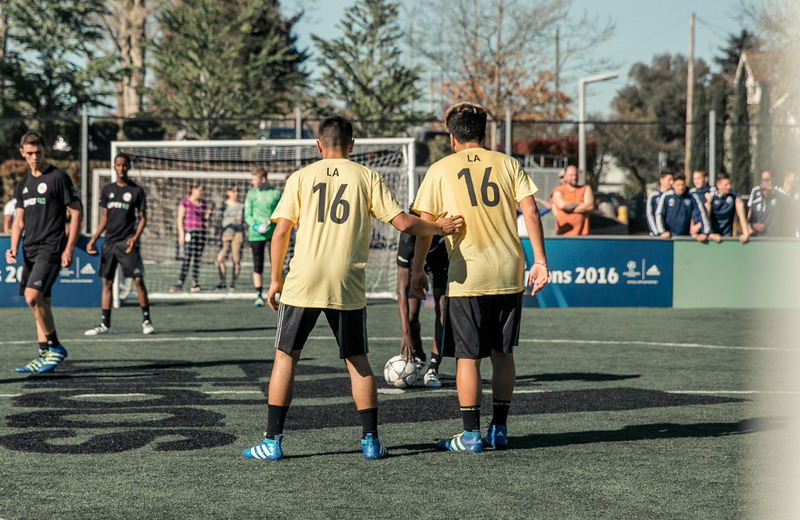 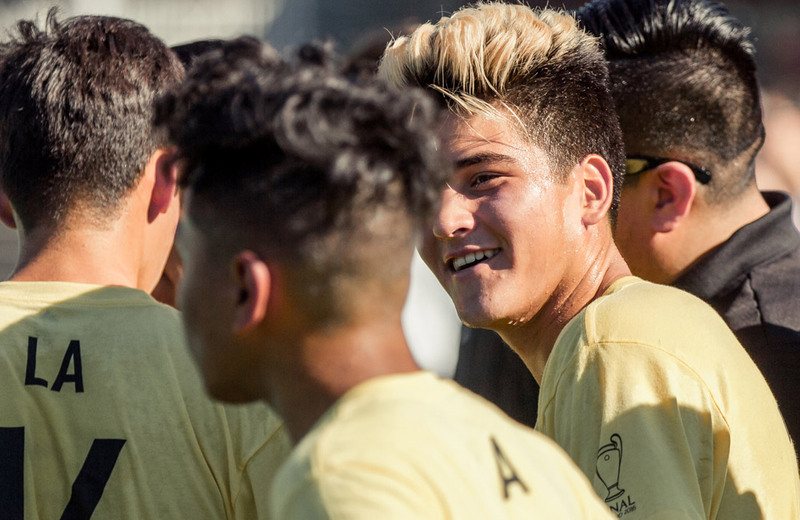 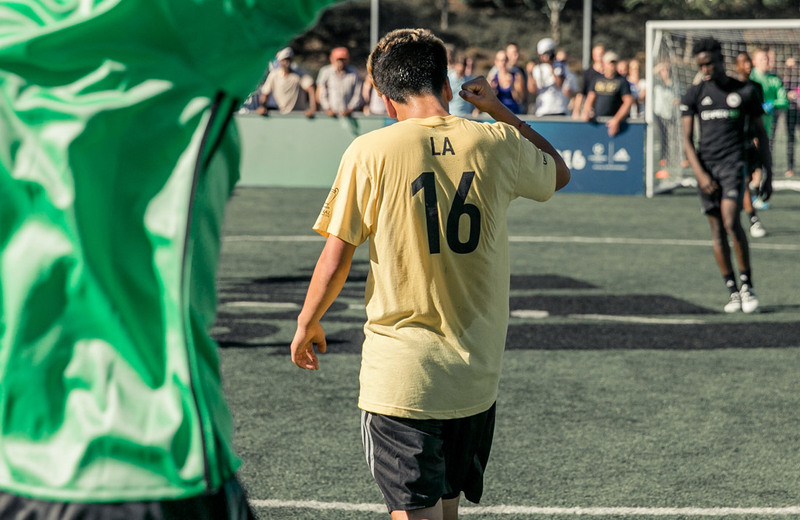 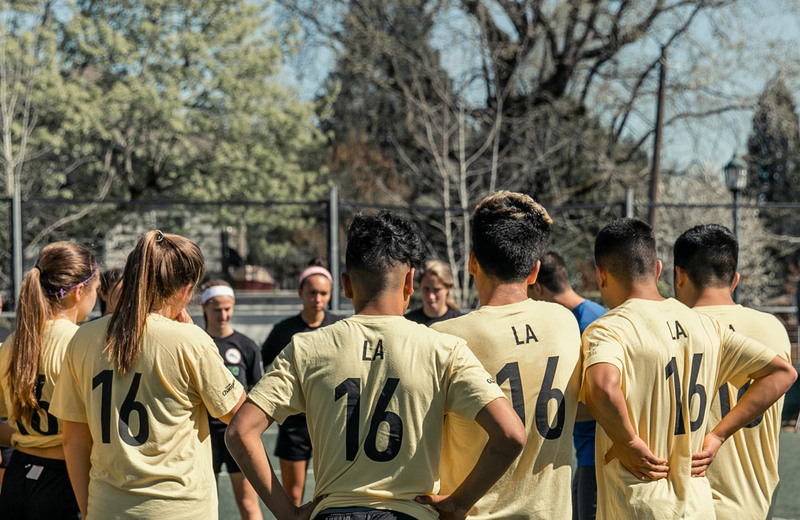 In the end, both the L.A. girls and boys teams swept the finals, with West Coast FC clinching a 5-4 victory, thanks to a golden OT goal, while the boys from Crescenta Valley SC beat out their competitors, 6-5, in a thrilling come-from-behind victory. 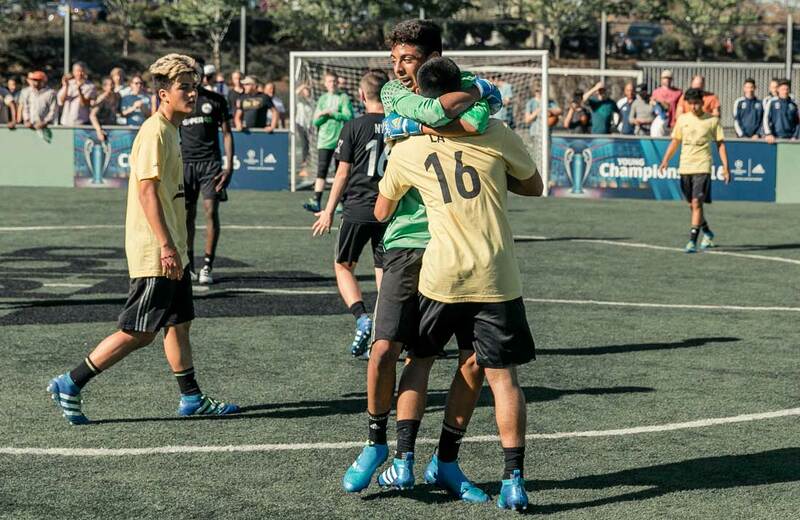 Crescenta Valley SC goalkeeper, David Ochoa, celebrates their win and a trip to Italy, courtesy of Adidas! 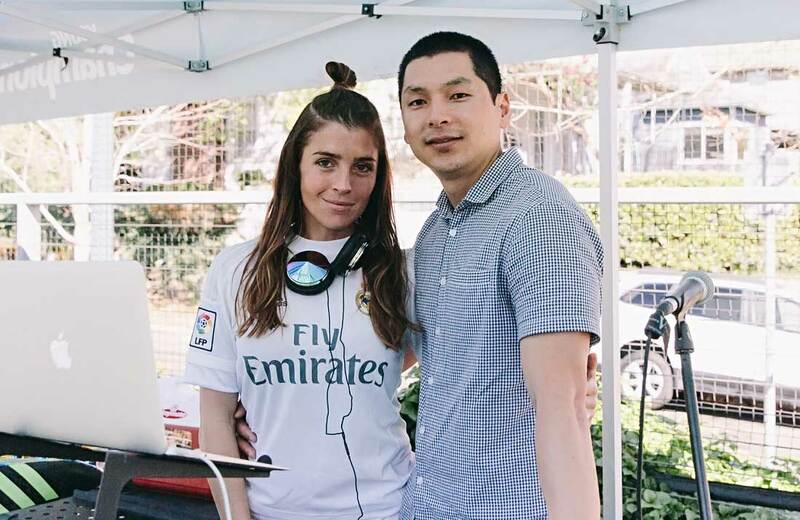 Kicking it with DJ extraordinaire Florencia Galarza. 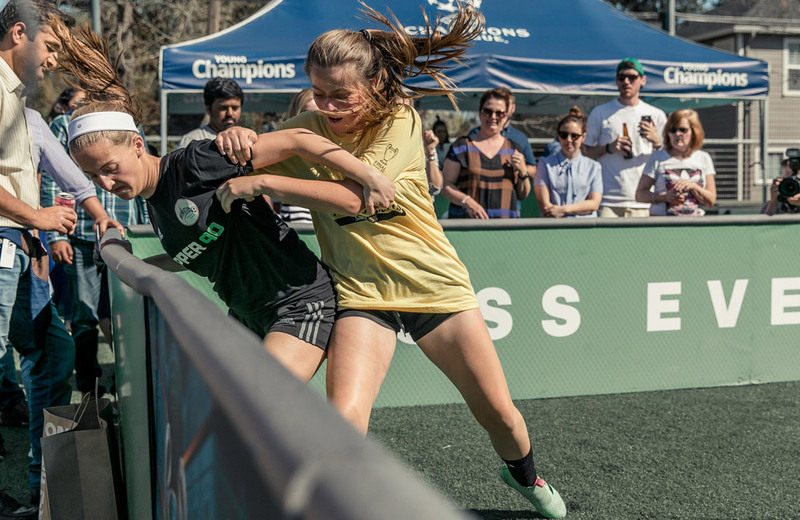 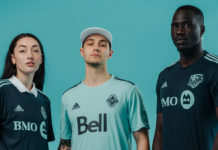 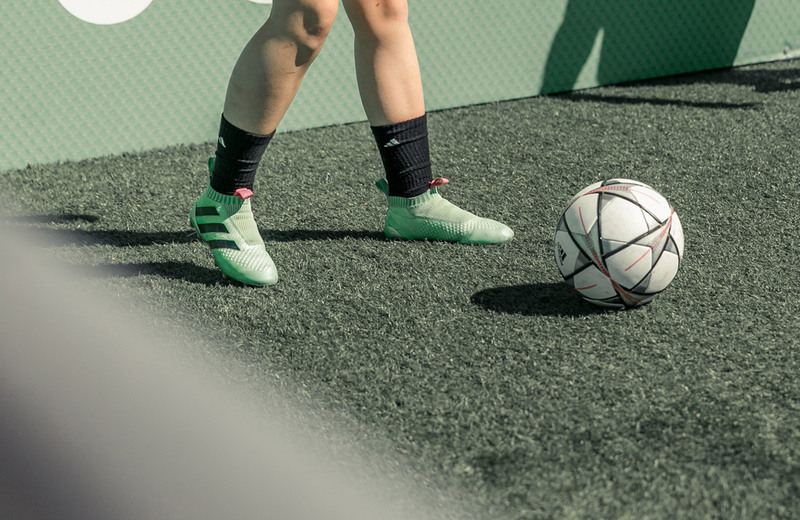 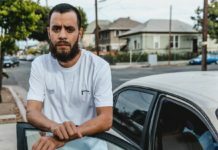 Multi-talented DJ and soccer player Florencia Galarza added to the festive atmosphere with the latest hip hop beats, and Guillermo Andrade from FourTwoFour on Fairfax provided high energy play-by-play calling with an urban flair.